﻿Maker Lab students design and create 3D objects using Google Sketchup and Tinkercad. Maker Lab students use design thinking strategies, blogging, sketching, and clay modeling to redesign a 3D object. Students use these tools to plan before creating their item using Google Sketchup or Tinkercad. ﻿Maker Lab students work collaboratively on day 1 to build 3D mockups of their inventions with cardboard. Maker Lab students visit the Evanston Public Library and 3D printing store Get Printing 3D in Downtown Evanston to see 3D printers in action. Special thanks to Josh Melfi for the entertaining tour of the store's 3D printers and to Renee and Ashley at the Evanston Public Library for their tutorial in Google Sketchup and for printing students' items for them on the library's 3D printer! Thanks for an amazing week, Makers and Filmmakers! Gamers use the ﻿Makey Makey ﻿with conductive items like play-doh, fruits, and gummy bears to operate their games in Scratch. 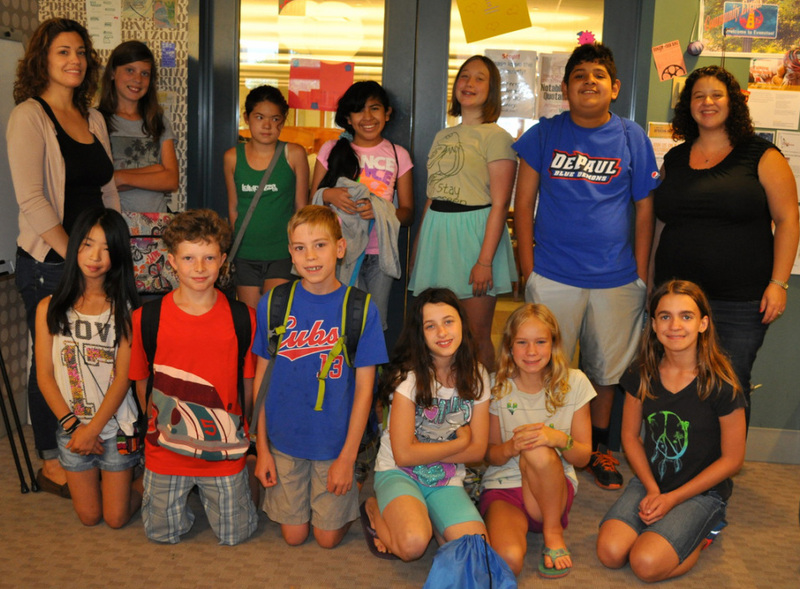 Thanks to Renee Neumeier at the Evanston Public Library for hosting us on Thursday! Thanks for an awesome week, Gamers & Filmmakers!